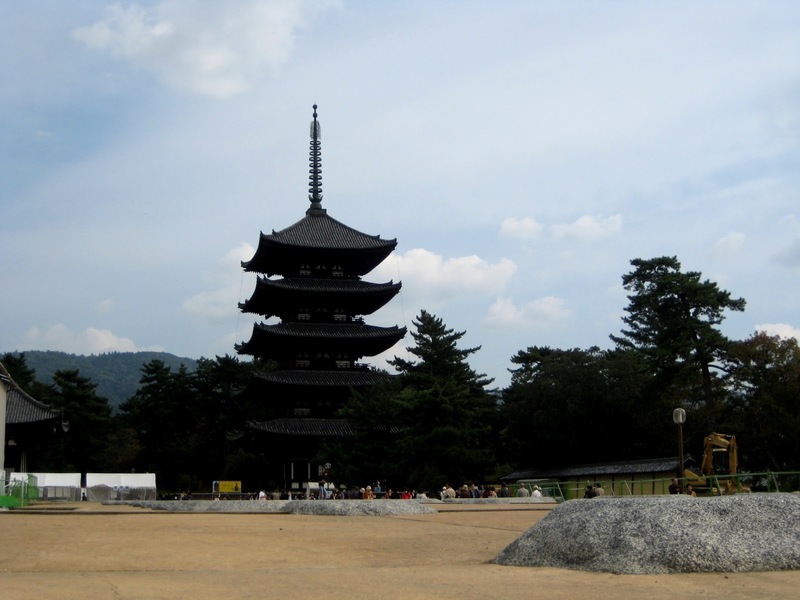 Japan's most beautiful city is Nara Prefecture! 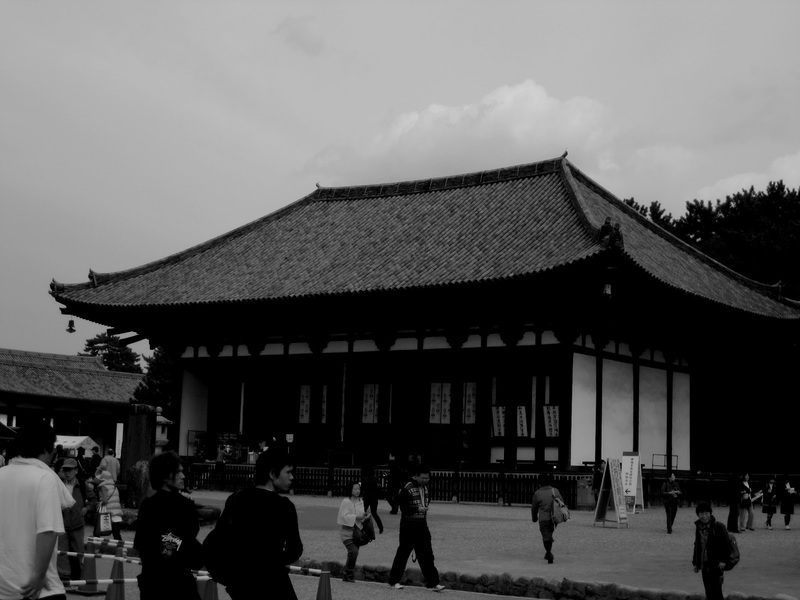 ALL-TIME FAVORITE POST FROM 2010 RE-BLOGGED: The ancient capital of Japan in 1710 Heijo era, and a personal favorite of mine, welcome to ( i dare say it) Japan's most beautiful city... Nara! I was suppose to go to Nara a day after but i got lost somewhere on my way to Tofukuji which is only a stop away from Kyoto Station. I rode the wrong train, and not an express one but a slow moving public tram. 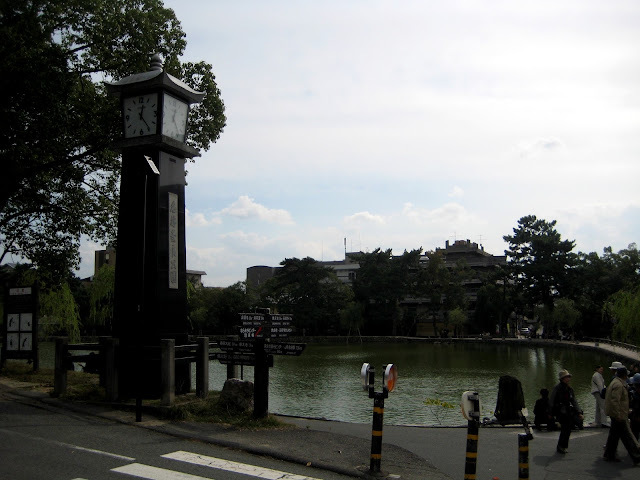 I ended up in Nara after about an hour and found myself weirded about it, but in a good way. 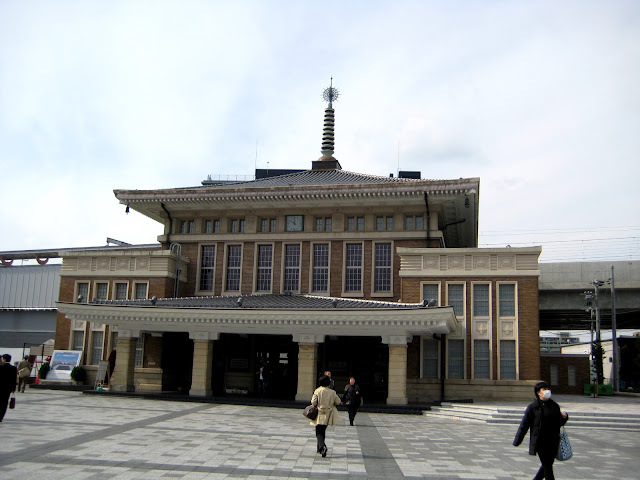 Maybe, it was destiny... God wants me to see already Nara's splendor. Do you believe in love at first sight? I do actually. I did as soon as i got out of the train. 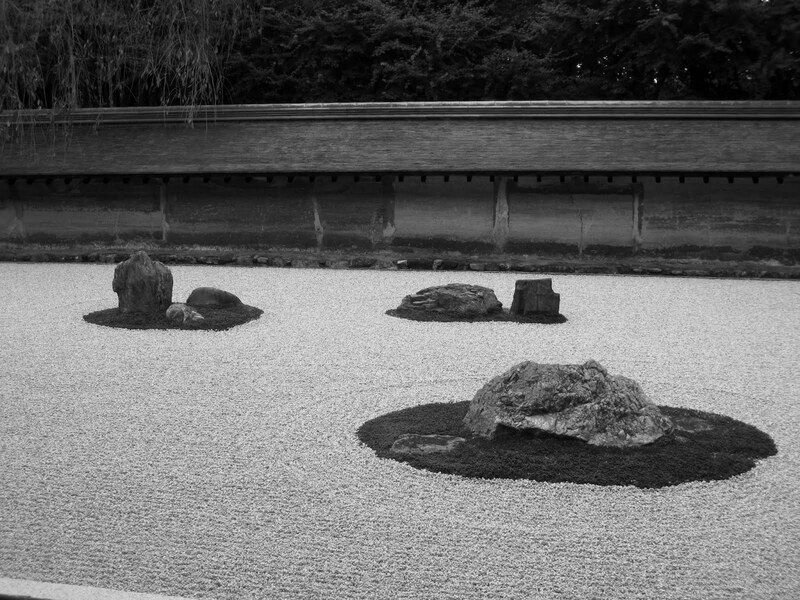 Nara is simply beautiful, i'm falling in love all over again as i remember my trip. With absolutely no idea where to start, i searched for a tourism office or a travel kiosk nearby. It's actually right beside the train station. 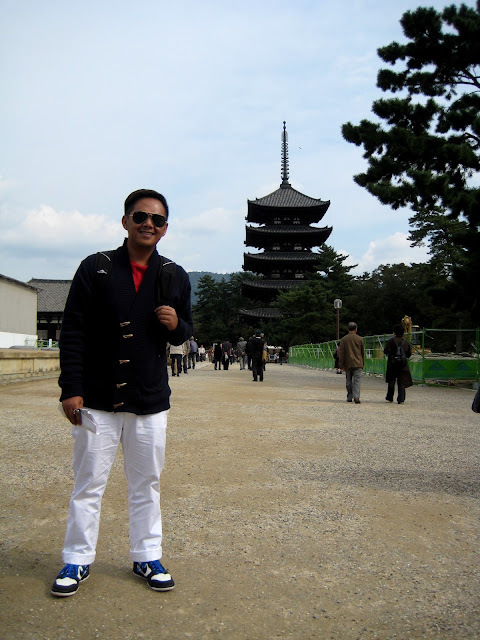 I always plan my trip the night before i leave, so i wasn't expecting to travel around Nara that day. I approached a fine looking lady and she told me of good places to go to. She mentioned dozens of temples but i was quite curious when she mentioned something about a park where deers freely roam. It perked me to another dimension. Getting to the favorable spots was a breeze. Walk a straight line and you'll reach this spot. It's a very easy 15-20 minute walk where you can make a side trip to some souvenir shops, quaint restaurants and even vintage stores. Roaming around this pond was as relaxing as it can get. 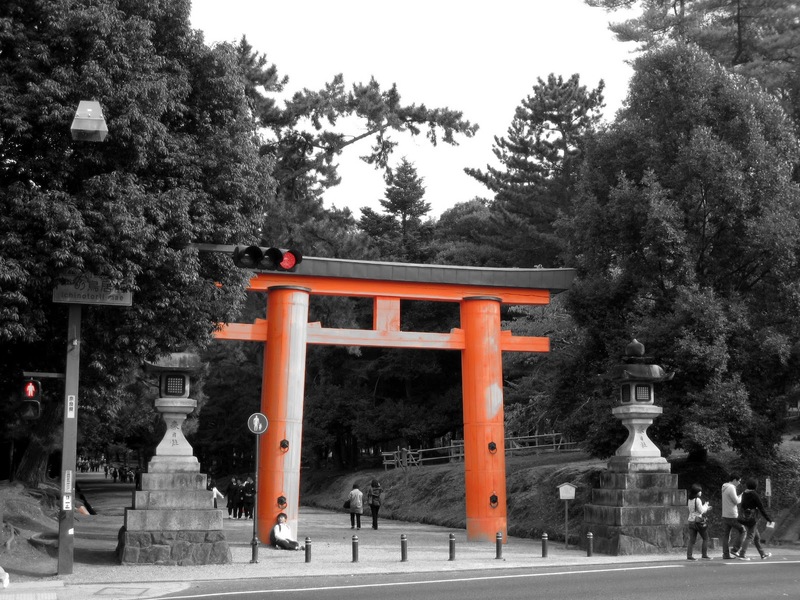 Mind you, Nara beams with high number of tourists all day, so finding your little spot might be tricky. If you look closer you could see carp swimming and tortoise drying their backs in one of those scattered rocks. 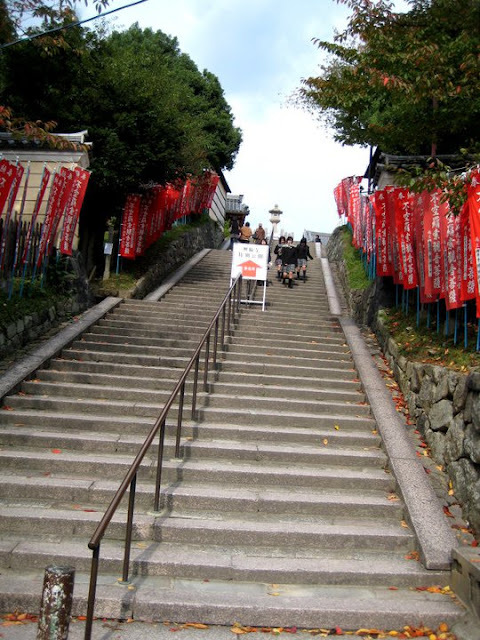 But for now, i made my way to the other side up the stairs to view the many amazing temples of Kofuku-ji. The sun was up but the cool temperature made the trip whole lost easier and with a breeze. Reaching the spot will lead you to these ornate shrine. I pondered and watched as monks and locals pay tribute. Jizo Bodhisattva is a much beloved figure in Japan, Korea, and China, who is just becoming increasingly well known. Jizo is a special protector of children, travelers, and women. 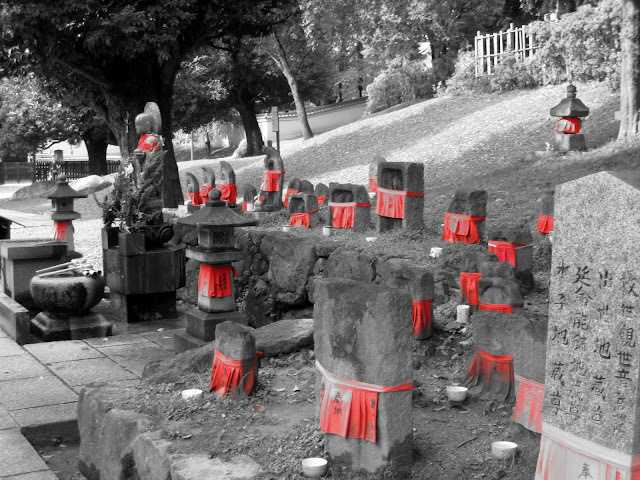 Jizo is also known to help those who are working with a life problem or physical affliction. Walking to or from Nara-kōen, you can’t miss the soaring main pagoda of Kōfuku-ji, which was transferred here from Kyoto in 710 as the main temple for the Fujiwara family. 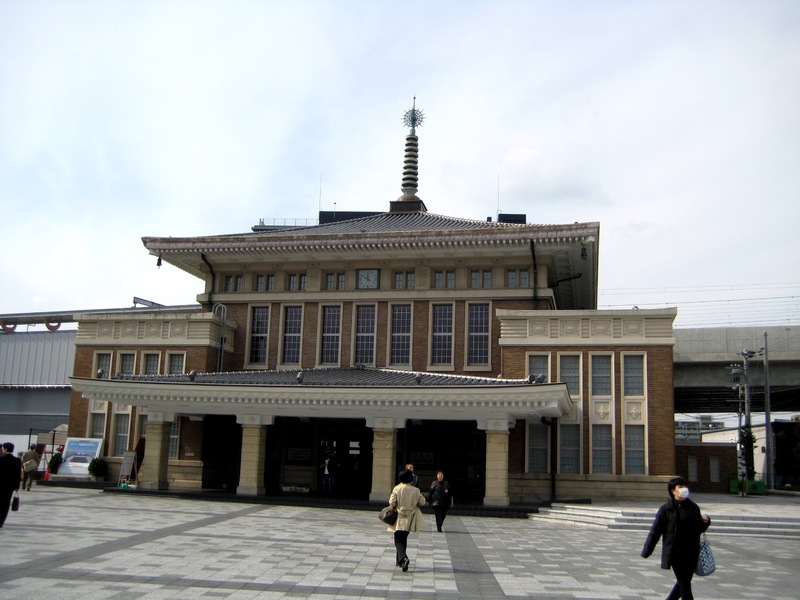 Although the original temple complex had 175 buildings, fires and destruction through power struggles have left only a dozen still standing. I put back my map and ventured into the unknown. Wherever my steps take me. It took me to one of the greatest places I've ever been to in my stay in Japan. More on that on the next post! I went back to the pond and walked for a bit, away from the crowd. I found myself passing by quiet streets and narrow alleys. 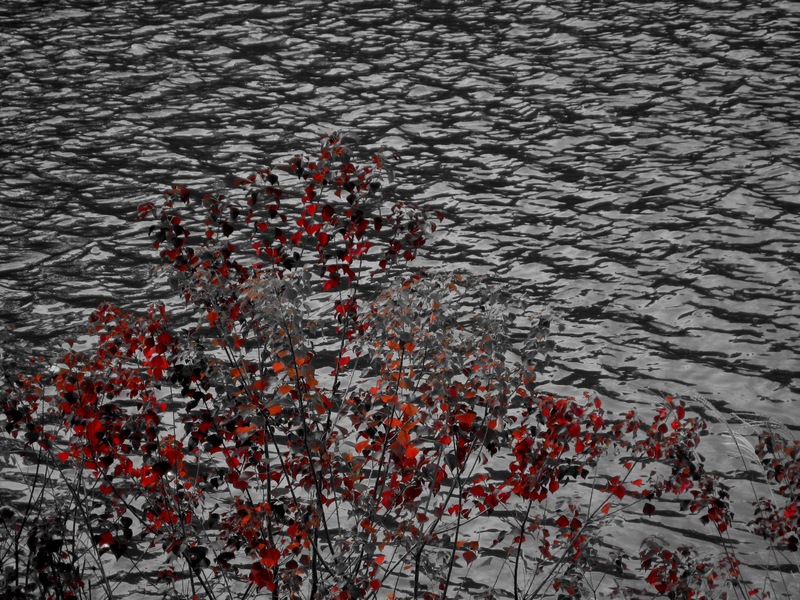 I loomed over the colors of the leaves against the calm residing waters. It was so spectacular. This was an unexpected favorite of mine now. It was gentle, it was mild... like the echoes of infiniteness. Unexpectedly, i felt i was isolated from the world, where i feel untouched. I ended my journey around Nara watching this man wait for tourists who will ride his cyclo. It made me wonder in amazement how places such as Nara still values old traditions, untouched by Western influences. 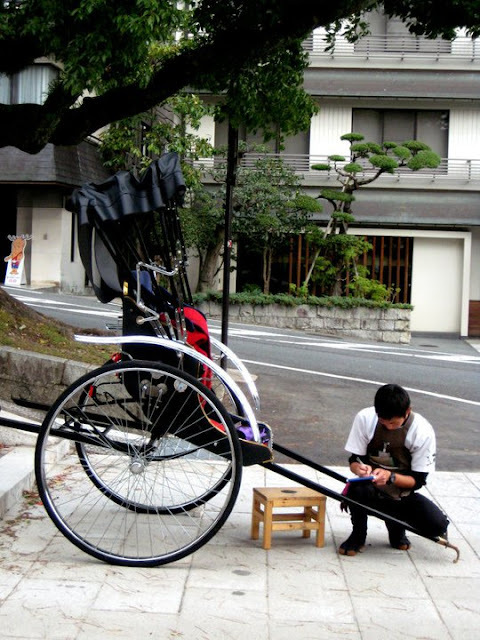 In a country like Japan who's rich and modern, old traditions are still apparent. I love it so much. I met an old Japanese couple who both couldn't speak any English. But for about a few minutes, it felt as if I've known them for a long time. And I've realized again and again, kindness is the universal language of the heart! They approached me and wondered if they could take my picture. I've never felt so important in my life. And for that, i will forever be grateful to them! So far, i haven't met a single soul in Japan who has not been kind to me. I also volunteer to take other people's pictures. One family was really happy when I took their shot at a park. Surely, you weren't the only one who felt good; I bet the Japanese couple did too! Yes! There's no barrier in this world. Wherever you are in the world, being nice is the way to go! So, i am pretty sure you're excited to travel some more. Where are you headed next? By the way, read your blog about Siquijor, will be going there on the 26th! I'll brave this beautiful province!!! 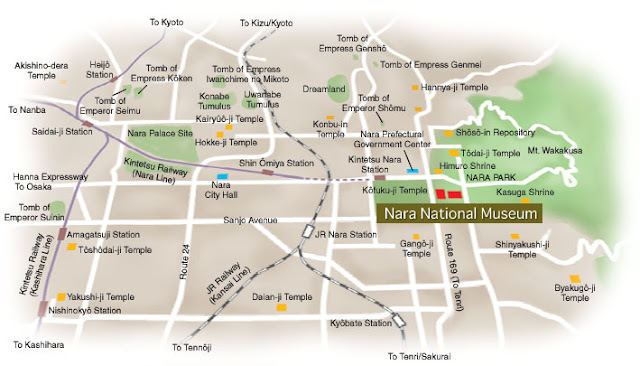 I didn't get to check out Nara when I visited Japan last spring so this blog post is much appreciated :) Also only encountered helpful and kind Japanese people whenever we found ourselves cold or clueless in Tokyo and Kyoto. Btw, just read that you're braving Siquijor...Good for you! The beaches of Bantayan are more swim-friendly (at least compared to the Coral Cay beach) but you'll enjoy yourself there I'm sure. @Jerik: Excited. This January, will be off to Bangkok for a week. Most likely we'll do a sidetrip to Cambodia. However, I just want a day without having to think about itineraries. One day of strolling around and feel the surroundings as if I were a local. Also, I want to go to Chiang Mai based on your posts about the parties. hehe. I wasn't really that scared about Siquijor, nor did I fear of anything that was 'not one of us'. but probably because I was with friends. You can do it!